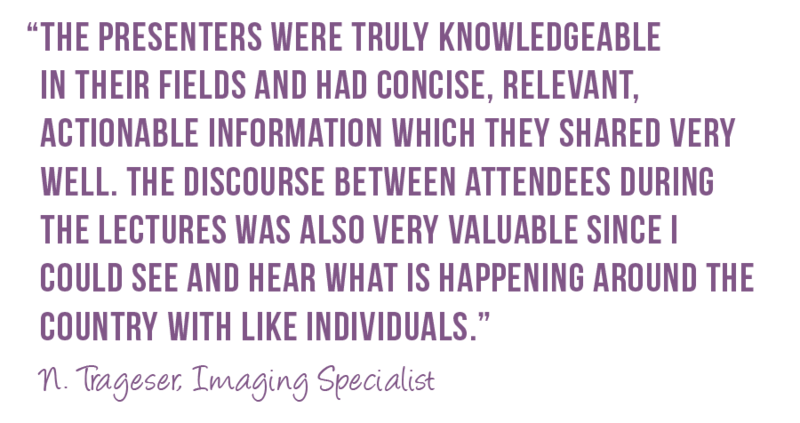 The Imaging Conference and Expo (ICE) is the only conference dedicated to imaging service professionals including technicians and directors of imaging services. ICE offers valuable CE credits from the ASRT and ACI(pending approval) and, keeping in line with our successful conferences in the past, offers world-class presentations and instructors. Whether it’s worthwhile continuing education, productive networking or the exclusive exhibit hall, attendees will have the perfect opportunity to enhance their careers and spend time with colleagues.